What’s causing those spooky sounds and smells in my house? Each year, we seem to start decorating for the next holiday a little earlier. Halloween is no exception. While showing a home recently, I encountered porch columns covered with fake spider webs and a cute scarecrow and pumpkins adorning either side of the front door. However, it’s never too early to address some of the “scary” aspects of home ownership – strange noises and weird odors. Before you get too worked up, rest assured that with the proper maintenance, you’ve got more than a ghost of a chance to rest easy, as the National Association of Realtors has shared a few tips to address the things that go bump in the night. Are creaking and popping noises waking you at night? The many materials that make up your house – wood framing, plywood, glass, metal ducts, nails, plumping pipes – all expand and contract at different rates. When a house cools at night, these materials might move slightly, rubbing against each other and making noises. Occasionally, they’ll contract with an audible pop. These sounds tend to be more noticeable in the fall, when warm days give way to rapidly cooling nights. The bad news? There’s not much you can do about them. The good news? Those sounds are normal and harmless. Do you have trouble locating the source of zombie odors? It’s either time to throw out the garbage, or you’d better ask your gas utility to check your gas lines and connections. Natural gas is odorless, but natural gas suppliers add a foul-smelling odorant – butyl mercaptan – to alert occupants to any leaks. The smell is like rotten eggs. Leaks can occur at your gas-fired water heater, fireplace, clothes dryer and any gas line. Leaking natural gas is potentially dangerous, so leave the house and call your natural gas provider to assess the situation. Most utility companies perform safety checks for free. Do you hear footsteps in the attic? Amplified by an unfinished attic space, a raccoon or even a good-size squirrel on your roof might sound like an ax murderer is doing the polka overhead. These rooftop transits are normal for critters — roofs offer a long, unobstructed highway. Make sure your soffit, rafter and gable roof vents are covered with screens and in good shape, or your rooftop buddies might find their way into your attic for real. Trim back branches that provide critters easy access to your roof. Do you smell something burning? You can smell the odor of burnt wood, but the smoke detectors aren’t going off and there’s no smoke in the house. The culprit could be your fireplace – even if you haven’t had a fire for days. The probable cause is a drafty chimney and negative air pressure in your home, meaning that outside air is infiltrating down your chimney, bringing stale burnt smells with it. Stop drafts by making sure your damper has a good seal. Regulate air pressure by adding more cold air return ducts to your HVAC system. You’ll get rid of the odor and save on your energy bill, too. What’s that moaning and clattering? These classic spooky sounds often show up when the wind blows and a storm is brewing. Vents for clothes dryers, bathrooms and water heaters exit out the roof or the side of the house. To prevent backdrafts, these vents have dampers – flaps designed to let vented air out and prevent outside air from coming in. These flaps sometimes move and rattle in high winds. Because dampers often are located in attics or between floor joists, the sound can be difficult to pinpoint. You might need a new damper. Instead of getting spooked, keep these home maintenance tips in mind, and your fears will dissipate as fast as Casper the Friendly Ghost. Greater Chattanooga Realtors is “The Voice for Real Estate in Greater Chattanooga.” A regional organization with more than 2,000 members, Greater Chattanooga Realtors is one of some 1,300 local boards and associations of Realtors nationwide that comprise the National Association of Realtors. 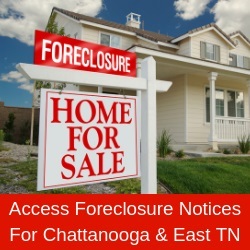 Greater Chattanooga Realtors services Hamilton and Sequatchie counties in southeast Tennessee, and Catoosa, Dade and Walker counties in northwest Georgia. More information: www.gcar.net; 423 698.8001.